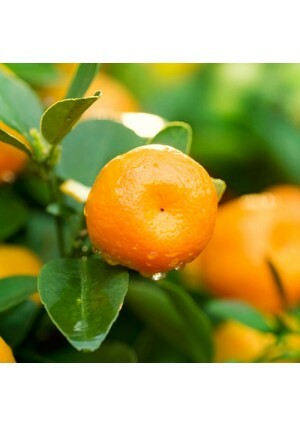 Honey Murcott, while considered a Tangerine, is actually a Tangor, which is a tangerine and orange hybrid. The fruit is yellow-orange, smooth and glossy. The fruit ripens during the months of January through March. Honey Murcott has a thin, easy to peel skin. Murcotts are cold hardy in USDA Growing Zones 9-11. They can easily be grown in containers in all other growing zones if they are brought inside for the winter. Murcotts are delicious and sweet hybrid tangerines. Not Available in Alaska, Arizona, California, Louisiana, Texas or Hawaii.